International Finance partners with leading event organisers to collaborate on industry events, conferences, meetings and exhibitions. We offer a variety of media visibility benefits, including website promotions. Contact us at [email protected] to get your event featured on our website. 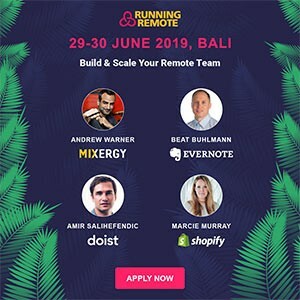 If you’re running a remote team or serious about starting one, this is the conference for you. Running Remote is carefully curated to teach you next-level, actionable strategies and tactics you can utilize the very next day to build & scale your remote team. We aim to contribute to the future of work by educating founders & professionals. 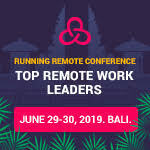 At Running Remote, you get to meet and network with leading tech companies, thought leaders and founders of globally distributed teams. Meet speakers from: Shopify, Evernote, Dribbble, Doist, Help Scout and many more! 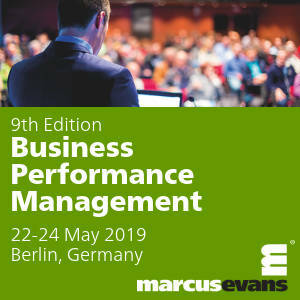 This marcus evans conference will show banks how to develop a counterparty risk methodology which minimises the implications of CCP default and bilateral initial margin through strategic risk management. The conference will look at the margin and capital costs of CCPs and IM and what clearing activities will look like following Brexit. 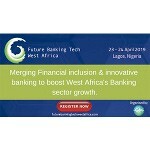 In an effort to achieve financial inclusion across West Africa by 2020, the Future Banking Tech is in the forefront of enabling an ecosystem that is capable of adopting policies to meet the necessities of the future generations in banking services. In light of this, the Summit will examine the challenges and successful outcomes of several countries that have largely progressed in the area of financial inclusion and sustainable banking development. Industry experts and significant others will be present at the Summit to share and merge their views on how to drive West Africa's Banking sector growth. 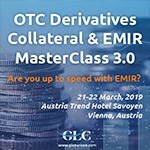 OTC Derivatives Collateral & EMIR Masterclass 3.0 on 21st - 22nd March, 2019 in Vienna, Austria led by Michael Simmons, a highly acknowledged Trainer in the field of Financial Services Operations. The MasterClass will guide participants through the OTC Derivatives which; since the global Financial Crisis in 2008, have been subject to momentous changes in their regulation, affecting all firms that indulge in these financial products. Unite with us at the Customer Experience Management Meet to learn from the leaders of the world about their customer experience strategies across all channels and touch points to efficiently evaluate the Voice of Customers (VOC) in turn implementing the best strategies and technologies to drive their business momentum. This marcus evans conference will enable institutions to identify the most suitable processes for RPA & AI automation, and bring value to the business. 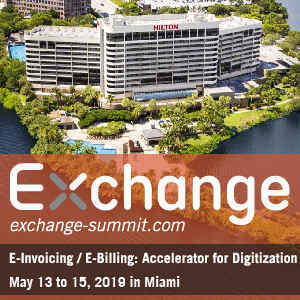 They will learn key strategies to best quantify the value and demonstrate the return on investment to the business, while seeking to mature their programmes and develop the infrastructure to best support further automation. Indonesia Fintech Show (IFS) 2018 is an international standard exhibition & conference which designed professionally by featuring technology, solutions, applications, products and services for the Financial Services Industry. The event will be held on 5-7 December 2018 at Assembly Hall Jakarta Convention Center (JCC), co-location with Cyber Security Indonesia (CSI) 2018 event. Crypto Investment & Blockchain Tech 4.0 will be the very first conference in the Kingdom to tackle cross-sector blockchain implementation featuring government, healthcare, oil & gas, ports & supply chain, featuring international best practices on blockchain implementation.